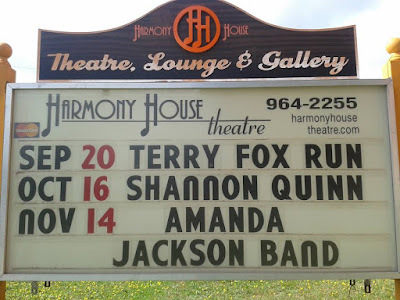 When we first saw this posted back in September as we drove by Harmony House Theatre, it seemed as though this show was never going to get here, but here we are in November already! We are really looking forward to the opportunity to play in this 2014 ECMA and 2015 Music PEI Venue of the year and humbled to have been invited to play this stage that has been graced by so many incredible performers! We would love for you to join us and you can purchase or reserve your tickets for November 14th by clicking here.